London: There’s a recently released film, Stan & Ollie that tells of the story of the last tour of Britain by that classic American slapstick comic duo of Laurel and Hardy. I don’t know who was responsible for the casting but I think they missed a trick: Jacob Rees-Mogg is a physical ringer for that thin, tragicomic figure of Stan Laurel, who is actually portrayed by Steve Coogan. It’s that sad-sack face, the wire glasses, the perpetual weight of the world on his shoulders, the dark double-breasted suits. And the tagline – another fine mess. 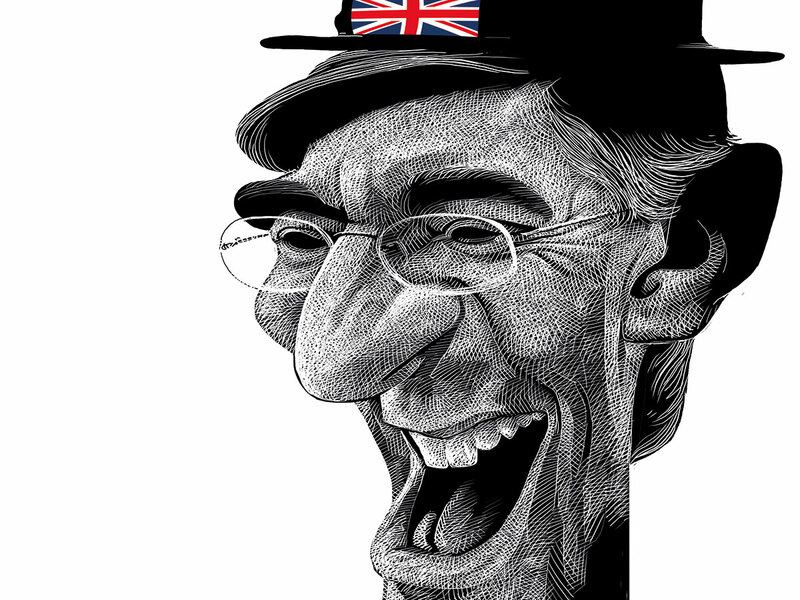 Rees-Mogg is, sadly I add because of the consequences of Brexit on Britons and many millions of Europeans, the leaders of the Eurosceptic wing of the Conservative party that rules the United Kingdom. His European Research Group (ERG) consists of about 85 Members of Parliament who are driving the Brexit bus over the cliff come April 12 — or some other date further down the road. For the 49-year-old former Eton and Oxford educated MP for North East Somerset, Brussels represents an unbearable encumbrance upon Britishness, British values, everything English. He is the intellectual leader who is set to make Britain little again. And that’s a terrible pity. In 1981, at the age of 12, he turned up at the annual meeting of industrial giant GEC, where his father was on the board. The youngster made a speech complaining about the amount being paid out in dividends, and was the only one present to oppose. “I’m always the only person voting against these things,” he said afterwards. His father spent 14 years editing The Times before it was bought by Rupert Murdoch. Buttressed by extraordinary privilege, Rees-Mogg found his persona early. His profile even appeared in Tatler magazine in 1985 with interviewer Vikki Woods visiting the Eton student’s grand family home in Smith Square, at the heart of Westminster. Latin master? Who else would be pompous enough to name their sixth child Sixtus, Latin for sixth? His nanny drove him around so he could go canvassing when he first stood for parliament in Fife in 1997. He admits it, but notes it was a Mercedes, not a Bentley. That same nanny still works for the family. His wife, Helena de Chair, also deals with those fine messes too. Maybe that’s why he fails to see what is about to befall the nation once Brexit does indeed happen. De Chair’s father was a Conservative MP; left a tidy fortune estimated at £45 million (Dh217 million), and Rees-Mogg supplements his MP’s stipend with income from an investment brokerage he set up after graduating from Oxford and failing to make the grade as a journalist with The Daily Telegraph. Rees-Mogg still spends about 30 hours a month acting as a partner, and pulled in £176,000 in 2017 plus an undisclosed dividend on his shareholding of more than 15 per cent, which is believed to bring in another £4 million. It is more than enough to allow him to own a four-bed townhouse in Mayfair, London as well as a six-bedroom, four-bathroom manor house in West Harptree, Somerset. Rees-Mogg was first elected in 2010, with a majority of 4,914, and spent most of the Cameron years as a junior figure, dubbed “member for the 18th century”. The MP, a Catholic, holds views so traditional that they no longer can be considered part of the normal left-right continuum of British politics. But his perception has been transformed by Brexit to the point where he has become the standard-bearer of the Tory right from the moment Boris Johnson went into government. The unyielding ultra positioning, his willingness to take on ministers of his own party, made him hot political property at a time when Theresa May struggled to articulate a clear position on Brexit. That is still the case with a EU-imposed of April 12 looming. The ERG has simply blocked any parliamentary progress, stifling talks, a foil to any reasonable attempt to get the Brits to see reason. With the 10 Democratic Unionist Party MPs as bedfellows in opposing the deal, he has been the bane of Brussels’ hope for hope. But hope there might very well be. Last week, Rees-Mogg signalled a willingness to accept May’s withdrawal Agreement at a third time of asking, simply because it ensures Brexit would indeed happen. Another fine mess, no doubt.